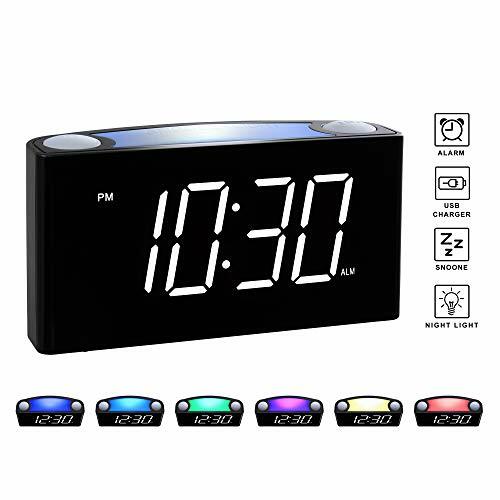 ⏰ PRODUCT WARRANTY: PPLEE Digital Alarm Clock provide 1-Year Manufacturer's Warranty and 3 Months Full Refund Guarantee to ensure you have a satisfied shopping experience. 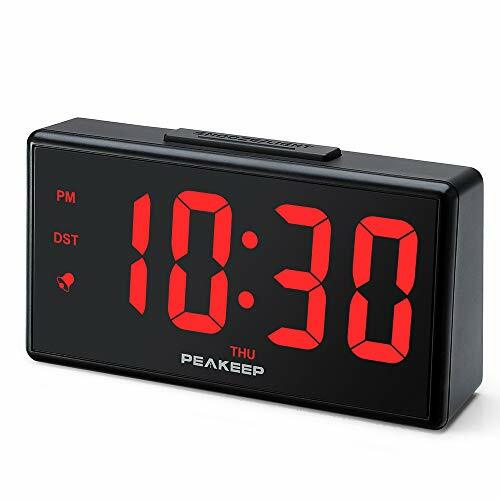 If you have any problems, please feel free to contact us by support@pplee.net, we will reply in 24 HOURS. 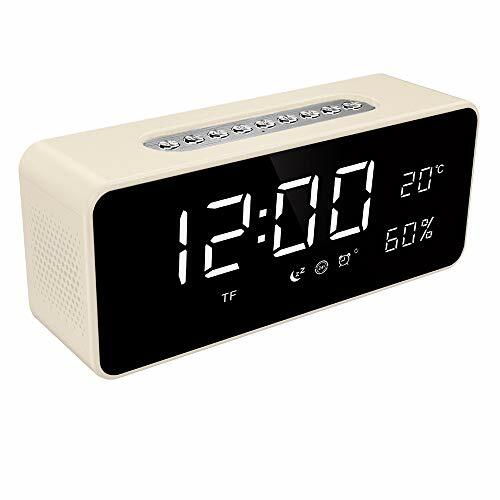 ⏰ EASY TO OPERATE: To make the users feel convenient and practical, we design this clock with simple interface and conspicuous function buttons. 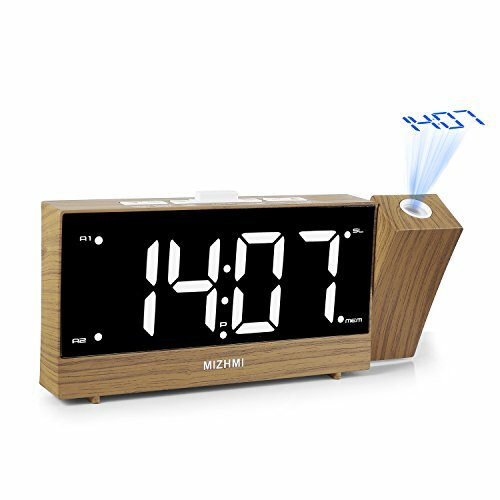 It's easy to set time or alarm with the big "HOUR" and "MIN" button on the top. 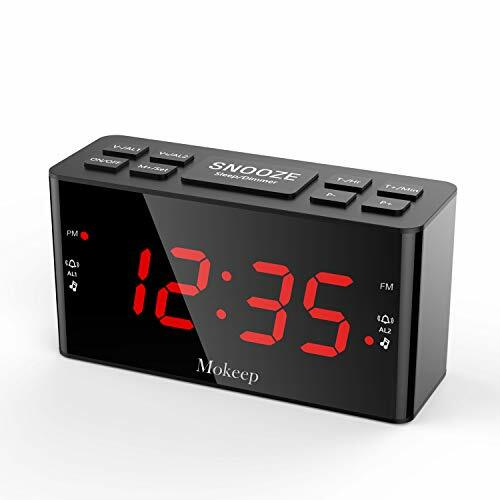 And at the back, we use the prominent red button to show "ALARM PAUSE" and "ALARM ON/OFF", you can easily find them to pause or stop the alarm. 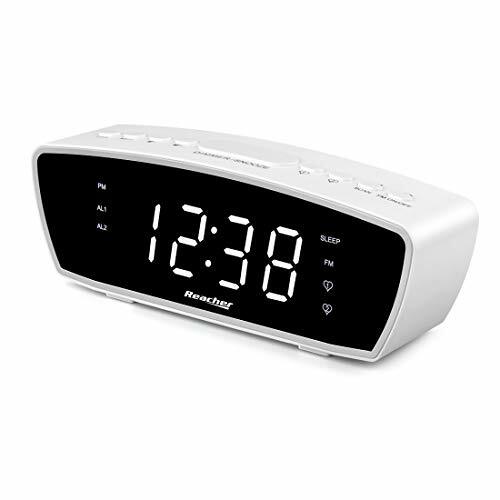 The switch button of "DIMMER" and "ALARM VOLUME" allows you to adjust the brightness of number and the volume of alarm at any time. 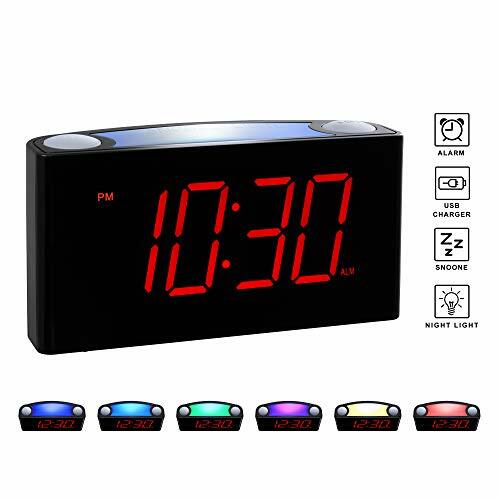 ⏰ 7" LARGE ELECTRONIC LED SCREEN WITH ADJUSTABLE BRIGHTNESS & ALARM VOLUME: With 7 inch large LED display, numbers are VERY easy to read without having to put glasses on in the middle of night especially for people who has a poor eyesight. 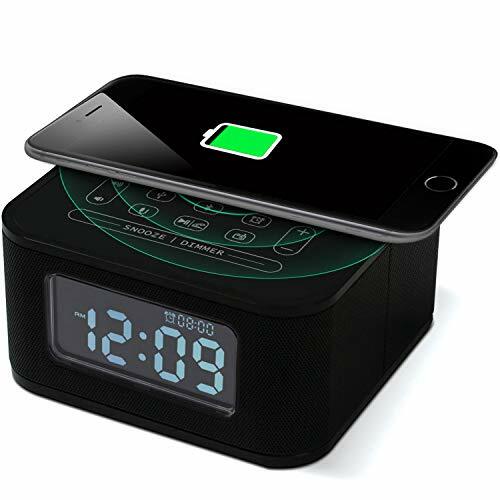 Slide switch button of "ALARM VOLUME" and "DIMMER" to adjust the alarm volume according to your depth of sleep and the brightness of digital number according to your light intensity. 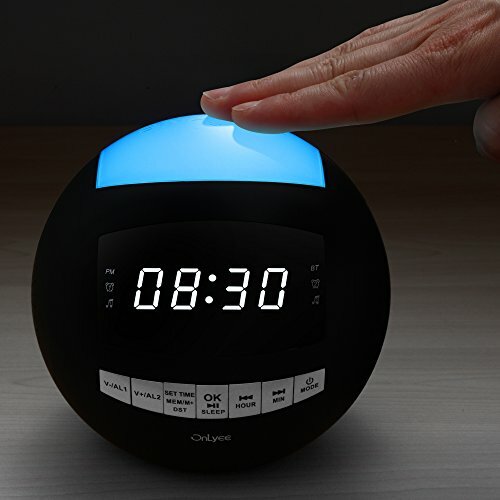 It's easily to set a sleep-friendly environment based on your own preference. 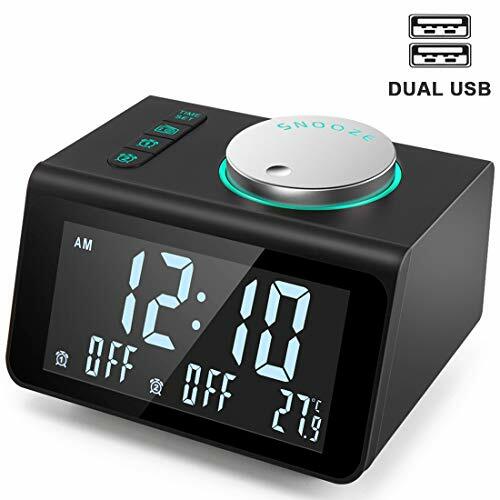 ✔Double alarm clock design: There are TWO separate alarms which can be set and used independently. 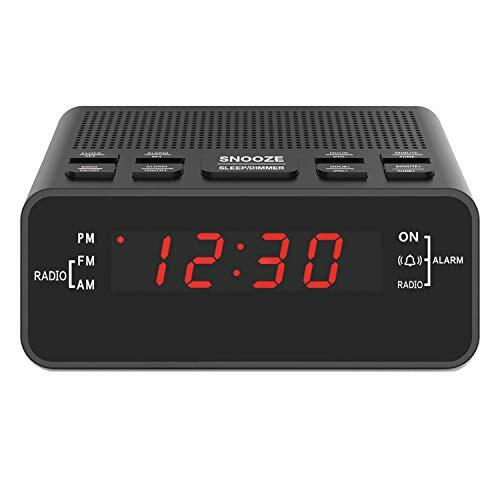 Besides the alarm clock ringing inside, you can also set up the ringing from FM or TF card music, and adjust the volume of alarm clock, Personalize your alarm with your favorite songs by loading them on a Micro SD card (notincluded). 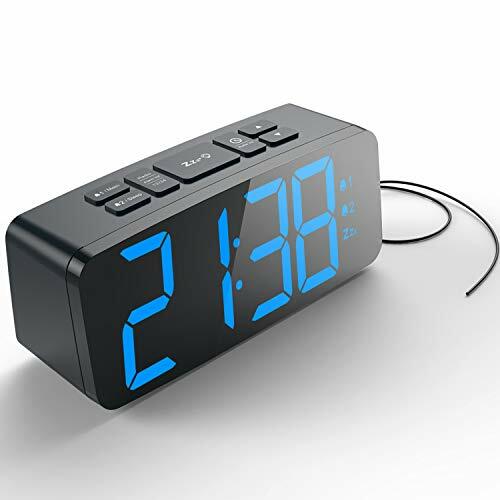 The alarm volume increases gradually to wake you up gently. 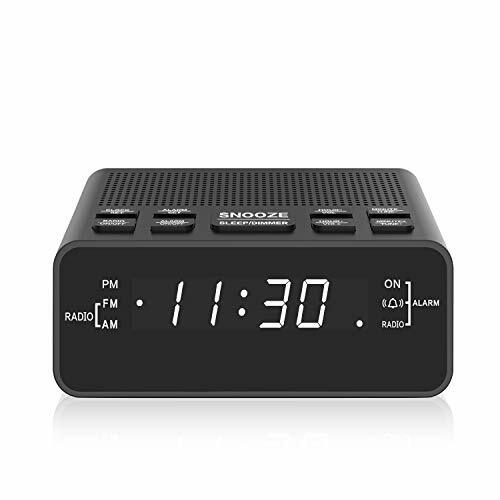 ✔Digital FM Radio: Easy tuning in FM radio channel with 0-15 level volume adjustable. 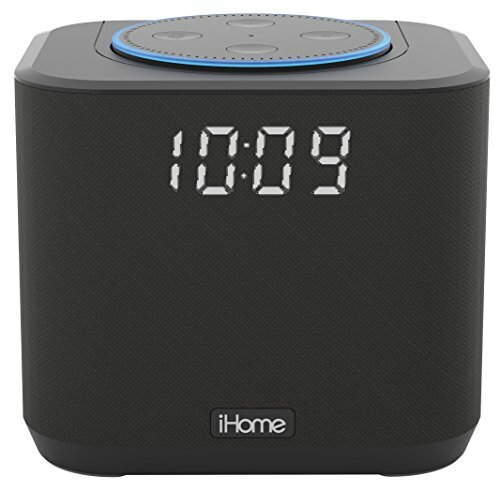 Speaker is loud and clear. 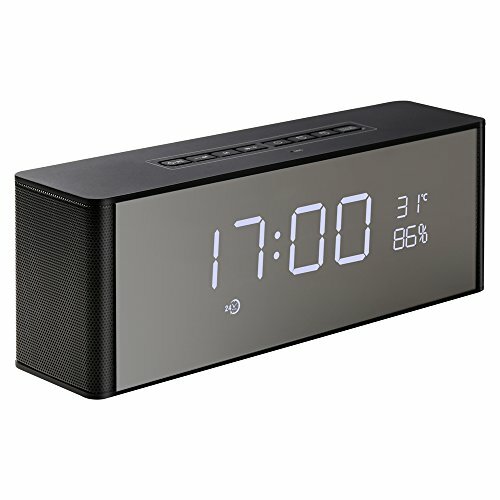 Enjoy FM radio broadcasts with our latest Low Frequency Boost Technology.Tune to FM radio, sit back and relax. 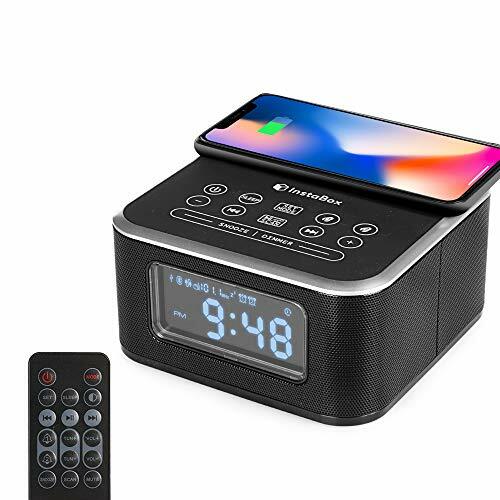 Enjoy your favorite channel. 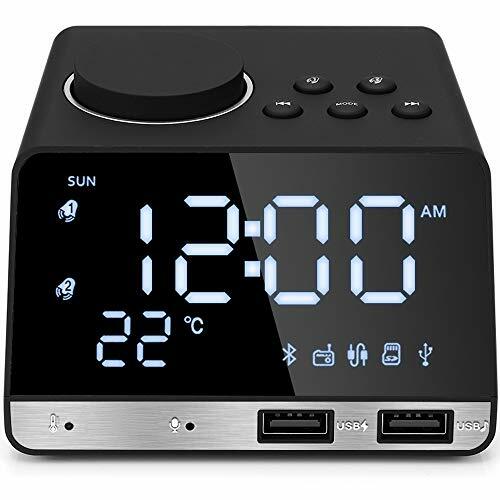 ✔Indoor Thermometer and Battery Back up: Display mode switch (12H / 24 H ; ℃ / ℉) , meets your needs for units. 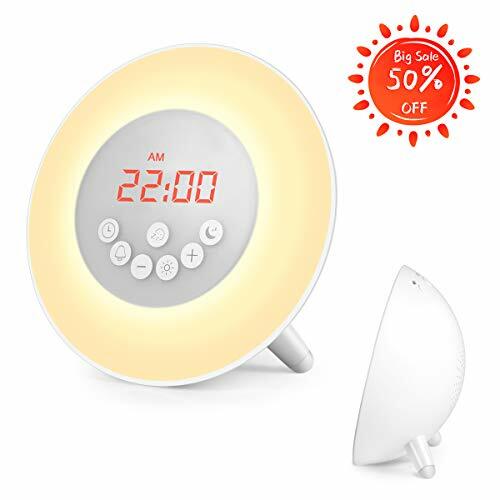 with sensitive indoor thermometer, acknowkedge of the environment temperture in your bedroom or living room. 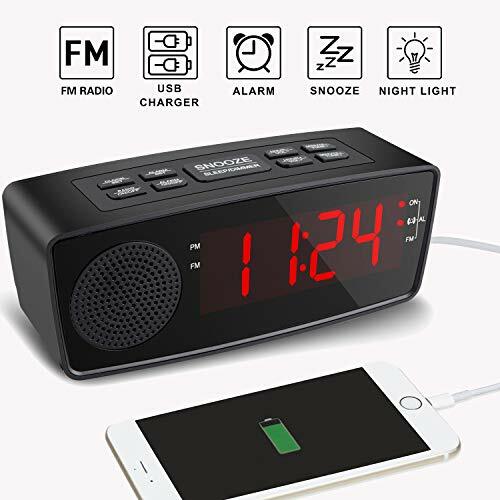 ✔4.0 Bluetooth Technology and MP3 Player: Streams music, podcasts and audio books up to 66 feet from your Bluetooth enabled phone, tablet or other device. 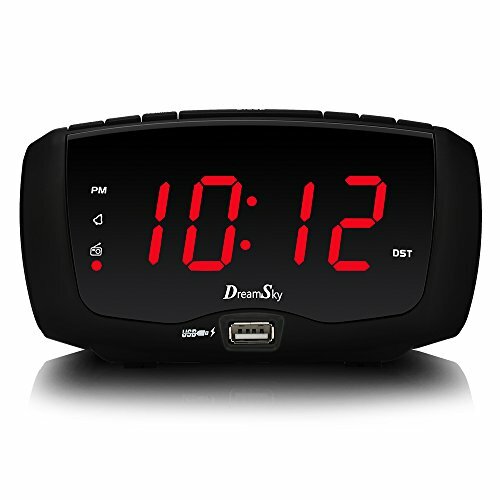 The last device used is automatically saved and recognized. 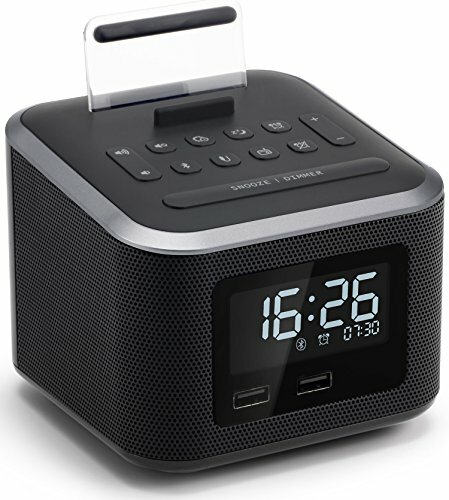 It also easily plays your favor songs from Micro SD/TF card, Just copy them into micro SD/TF card and insert into unit. 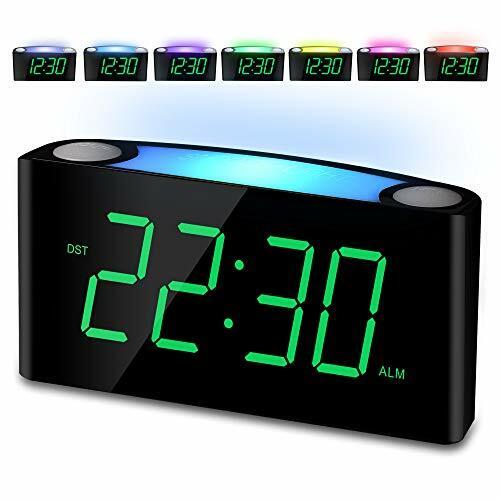 ✔LED Display with Dimmer: Our Digital alarm clock offers a large, easy to read Mirror LED screen to display，time and content are easy to read at a glance, 12 or 24hr switch, Indoor temperature ( ℃ or ℉) Display, alarm, battery clearly, numbers are big enough to see easily. 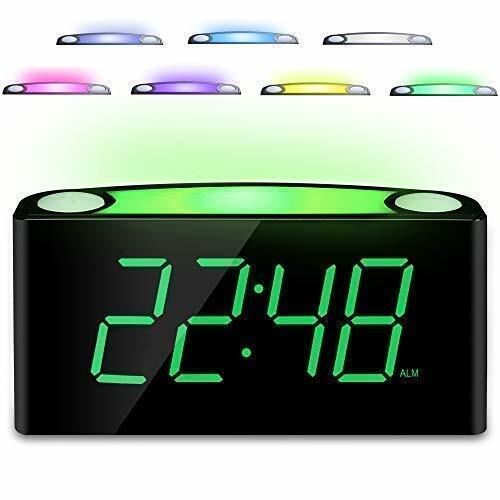 3 brightness levels (high/medium/low) make it easy to see anywhere clearly in your room and the light will not interfere with your rest at night. 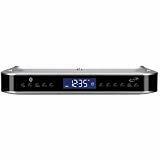 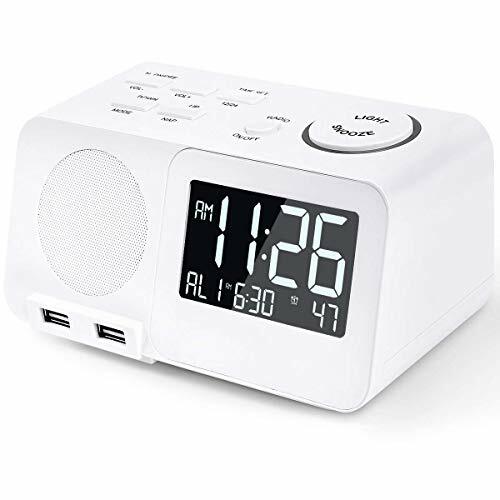 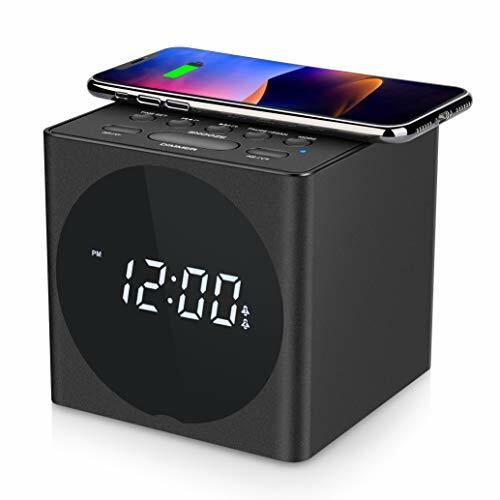 AM FM RADIO WITH SLEEP TIMER: With a store of 10 AM stations (520-1710Khz) and 10 FM stations(87.5-108Mhz), OnLyee Projection Clock enables you to set 2 separate wake-up alarms and choose buzzer or radios as the alarm sound as you like. 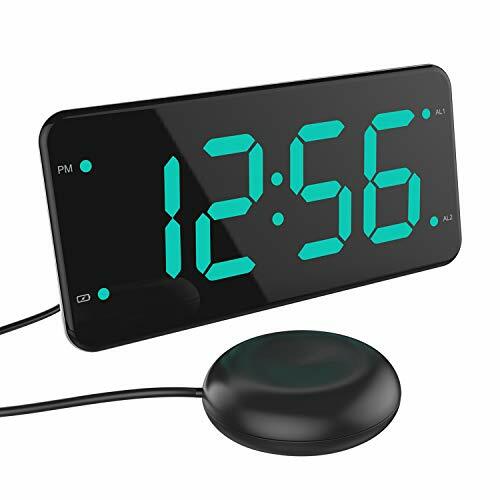 The antenna at the back of the clock can be extended to strengthen radio signal, allowing you to listen to music, news, weather forecast. 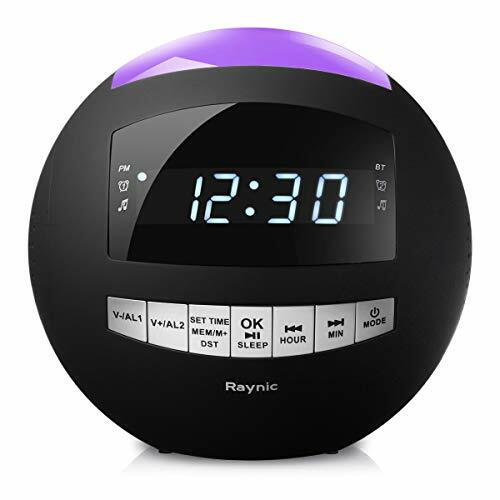 The sleep timer function allows you to fall asleep to the radio within 90, 80,70,60,50,40,30,20,10 minutes. 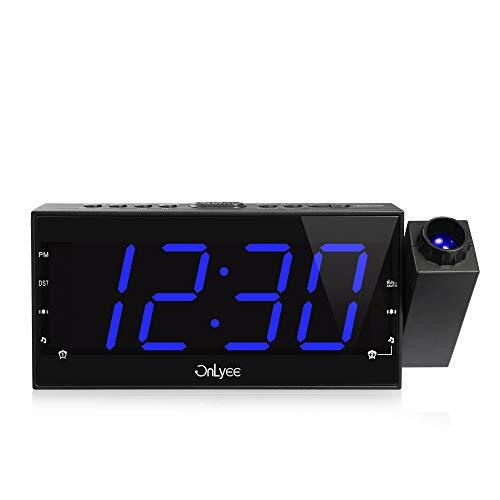 180° ADJUSTABLE PROJECTION WITH FOCUS CONTROL: Designed with 180° adjustable projector, you can easily read the time while lying in the bed as the clock projects ultra-clear time onto ceiling or wall within the optimum projection distance which is 1.6-8.2ft(0.5-2.5m). 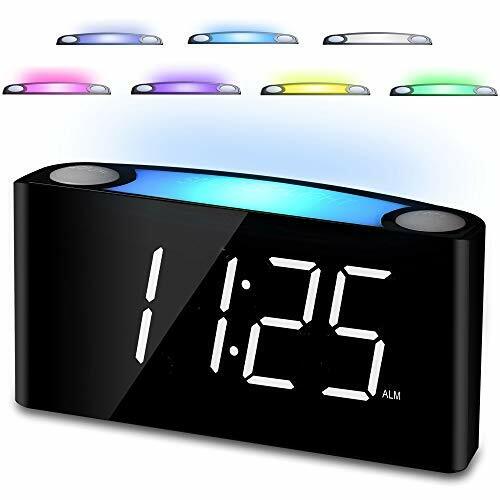 Projected in a soft blue color on ceiling, it is very clear to view but will not disturb your sleep. 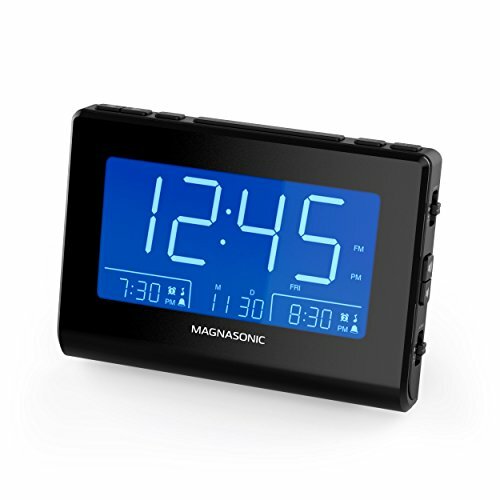 7" LED DISPLAY WITH 3 DIMMER:7Inch ultra-large display is easy to read especially for kids and the elder people. 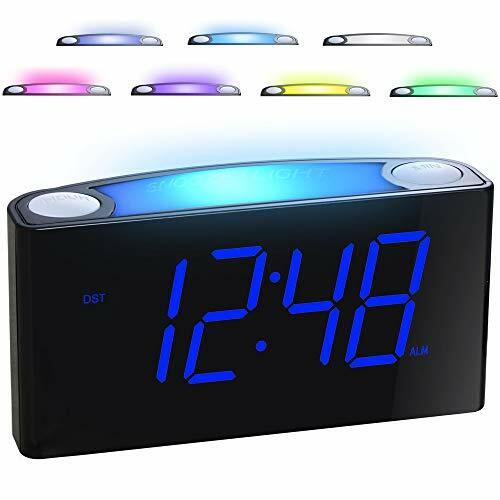 In case of been disturbed by the light of the clock, this alarm clock is designed with 3 dimming levels, you can operate the brightness settings according to your preference. 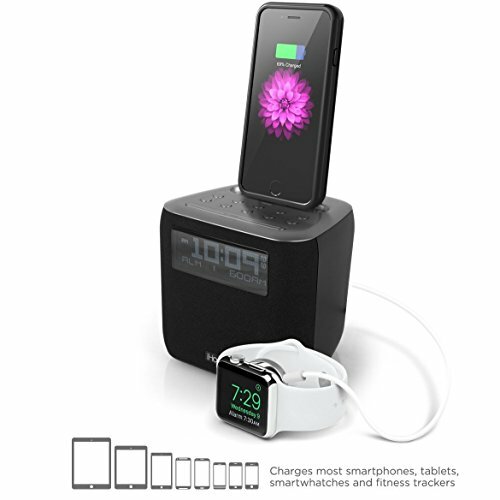 OUTLET POWERED&USB CHARGING&BATTERY BACKUP: The clock is outlet powered for supporting functions such as USB charging,radio,projection,alarm and time display.Two AAA 1.5V batteries(not included) are required to ensure memorization of time settings so that you don't need to reset time after encountering power outage. 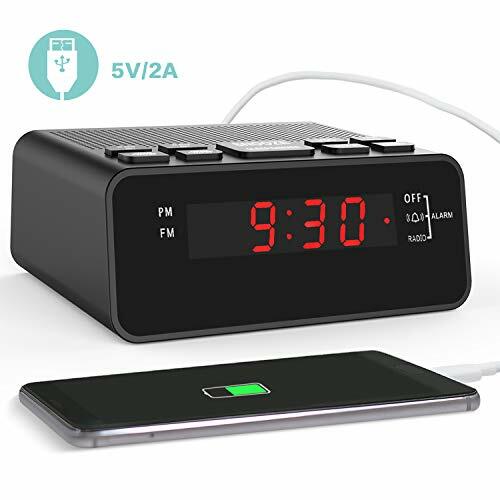 USB charging port is compatible with all Android & IOS smart-phones, tablets, Kindle or any other digital devices(an appropriate cable switch is required). 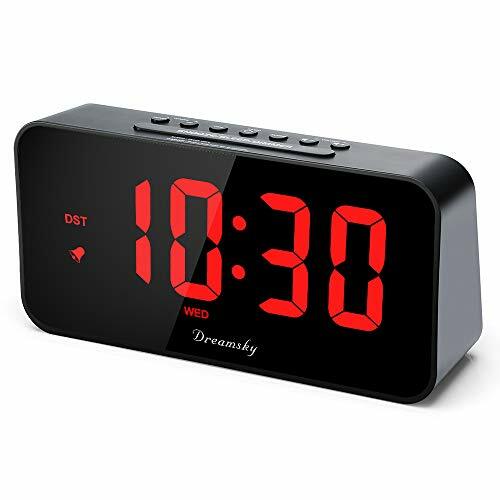 DreamSky Little Digital Alarm Clock with Snooze, 1.2" Clear Led Digit Display with Dimmer, Simple to Operate, Plug in Clock for Bedroom. 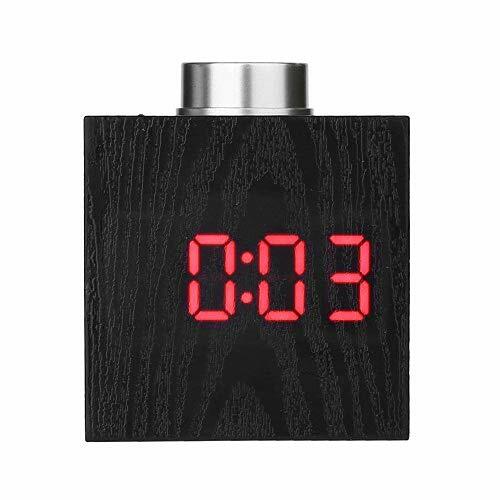 Nice Red Led Display with Dimmer : 1.2" illuminated LED digit display, time is clear to see at a glance. 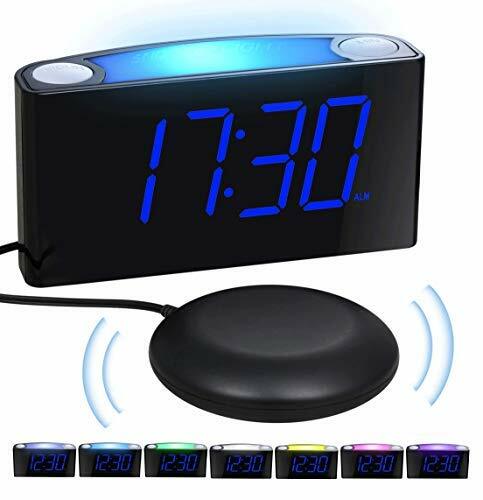 The brightness of display can be adjusted to high for daytime and low for night time, or completely off for light sensitive person. 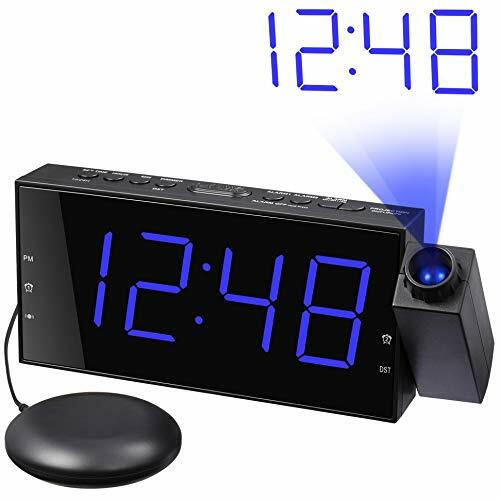 12hr display with PM indicator. 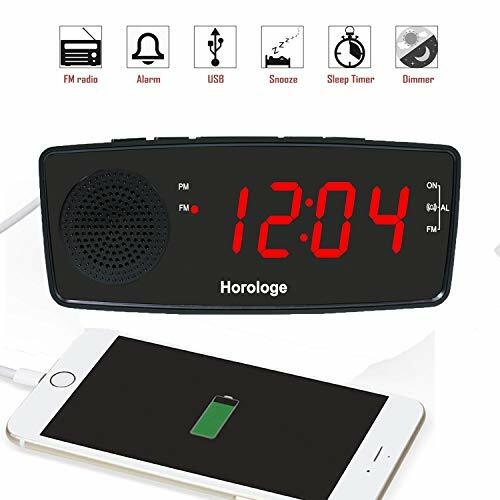 Compatible with iPhone XR iPhone XS iPhone XS Max iPhone X iPhone 8 iPhone 8 Plus iPhone 7 iPhone 7 Plus iPhone 6 iPhone 6s iPhone 5 iPhone 5s. 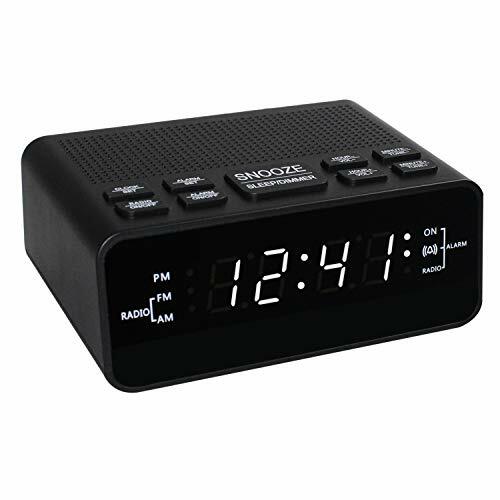 Simple Operate LED Clock Radio : 1.4" jumbo red LED digit display with 2 level dimmer for easy readability across the room . 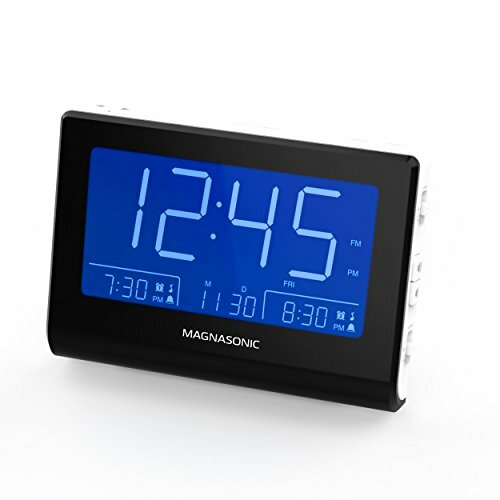 Intuitive controls with remarkable function printed indicate a very easy set way even don't require instructions. 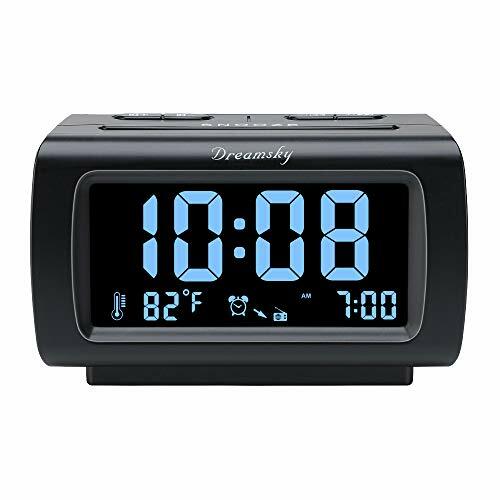 Great for seniors and the elderly as well as sight-restricted person. 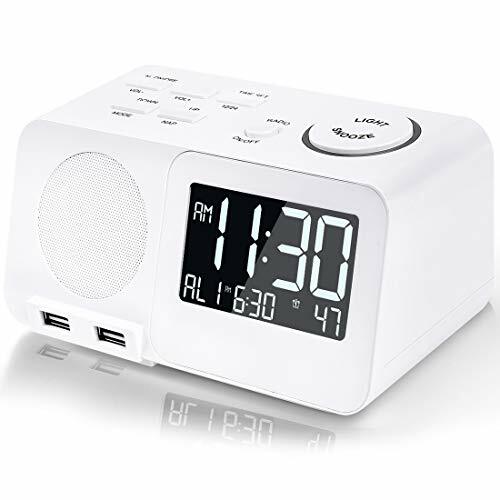 Loud Adjustable Alarms With Snooze : Wake up to buzzer or music via radios should your preference . 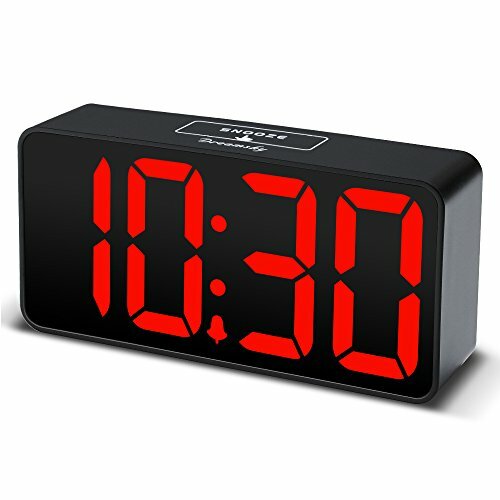 Alarm sound will begin faintly then increases within 5 seconds to extremely loud . 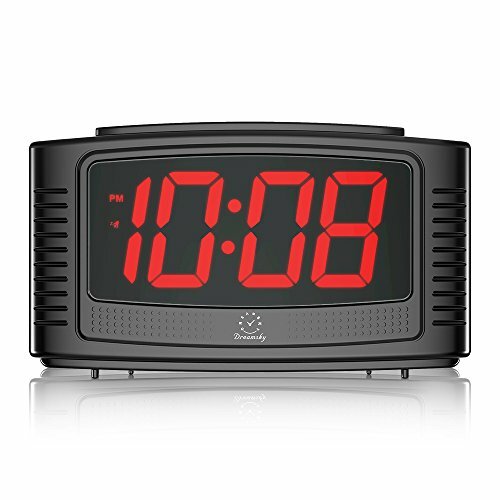 Alarm will sound 9 minutes without turning off or using snooze . 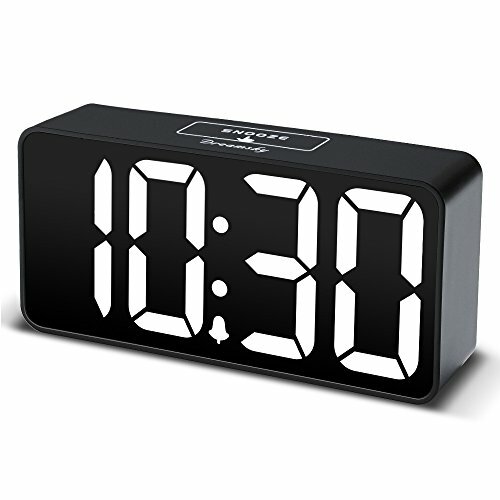 8 minutes interval snooze can be repeated in one hour . 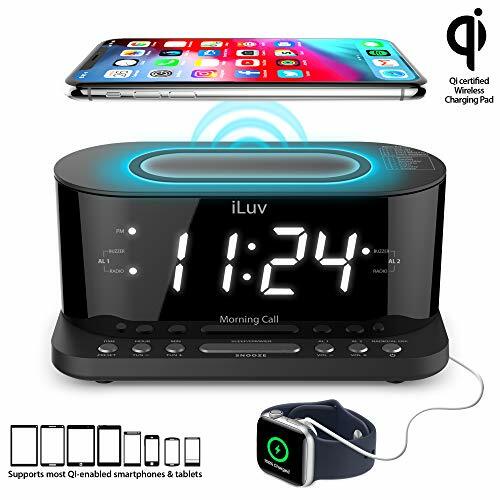 90 days money back guarantee, 365 days free replacement.